While the EUR/USD currency pair is moving inside the descending channel, one can consider selling it with the tight stop. Right now the price is testing the area of the 5th pivot point, which is expected to be a starting point of the fall to the level of 1.2828. If the price breaks the upper border and leaves the descending channel, this case scenario will be cancelled. 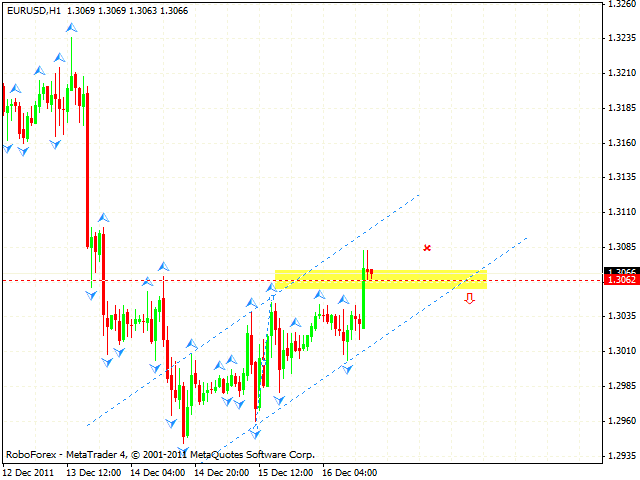 At the H1 chart the price has reached all targets of the rising pattern at the level of 1.3062. 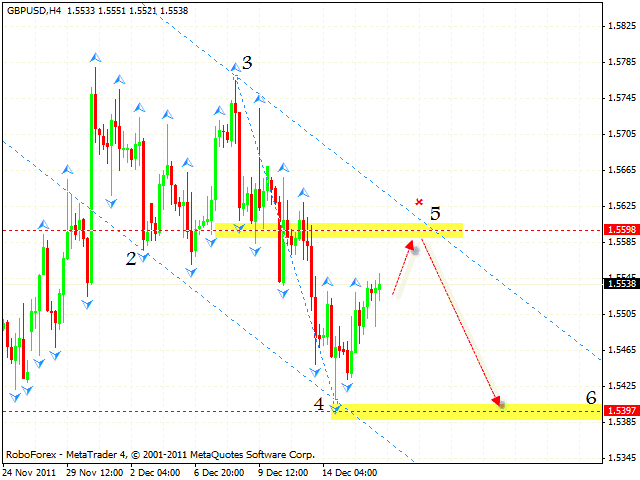 One can consider selling the pair with the stop above 1.3085 after the price breaks the channel’s lower border. 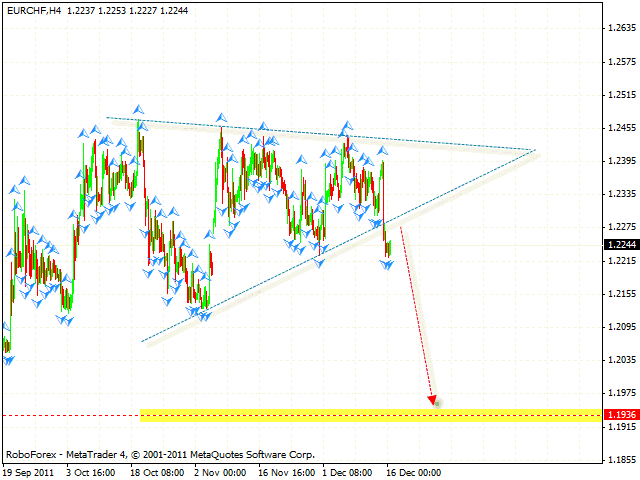 We recommend you to increase the amount of short positions only after the price breaks the level of 1.3000. In case of the GBP/USD currency pair we should expect the test of the area of 1.5598, where one can consider opening short positions. 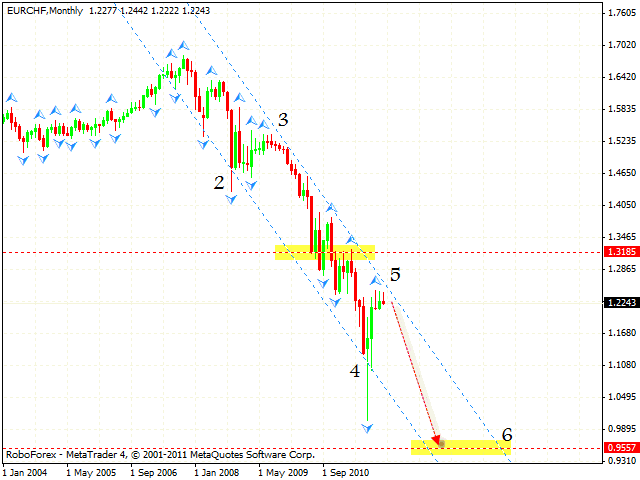 The closest target of the fall is the level of 1.5397. If the price breaks the upper border and leaves the channel, this case scenario will be cancelled. Franc fell much lower than we expected, but nevertheless, it continues moving inside the rising channel, that’s why one can consider buying it with the tight stop. 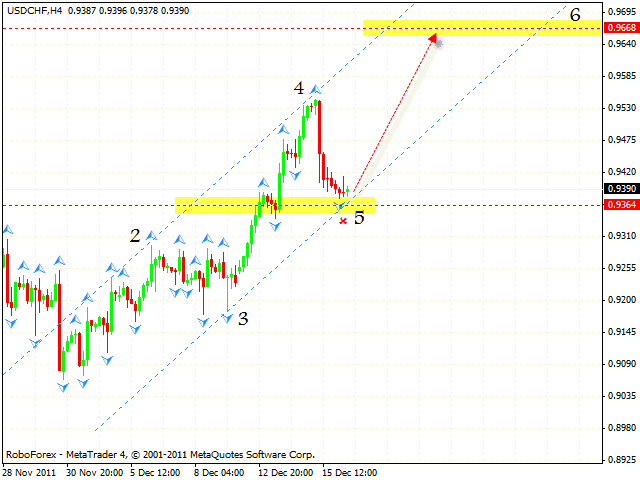 The final target of the symmetrical pattern is the area of 0.9668. If the price falls lower than 0.9310, this case scenario will be cancelled. 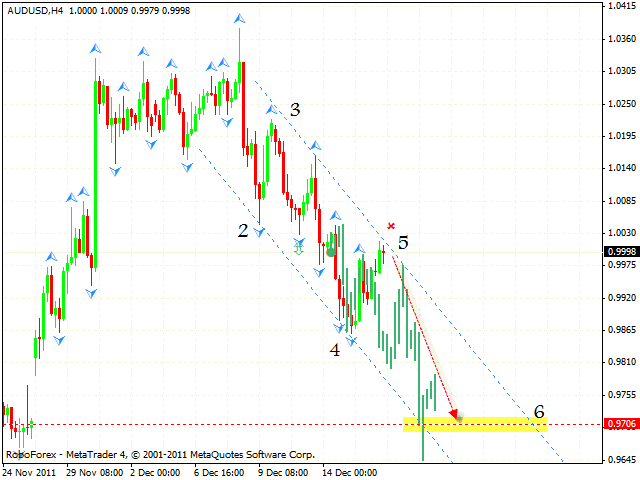 In case of Australian Dollar the descending pattern also had to be corrected a bit. Currently the price is testing the descending channel’s upper border, one can consider selling the pair with the tight stop above 1.0030. The target of the fall is the level of 0.9706. If the price leaves the channel, this case scenario will be cancelled. 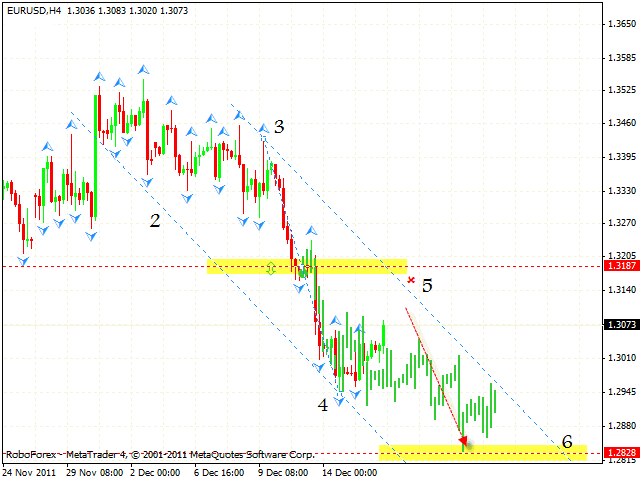 We recommend you to increase the amount of short positions only after the price breaks the level of 0.9910. The EUR/JPY currency pair continues moving inside the descending channel, one can consider selling it with the tight stop. The target of the descending pattern is the area of 100.00. 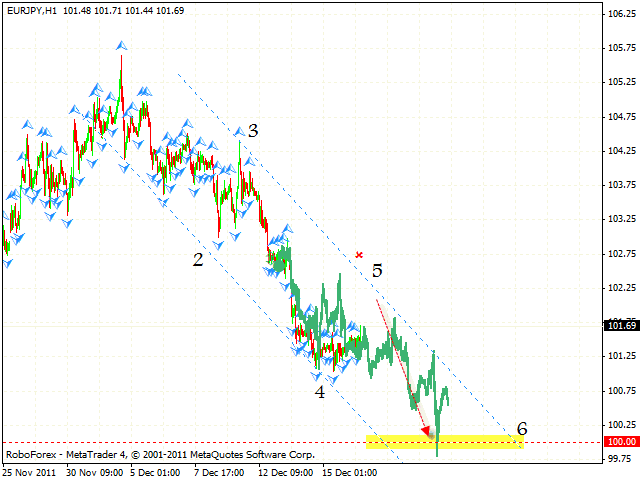 One can consider increasing the amount of sales only after the price breaks the level of 101.00. If the pair grows higher than 102.25, this case scenario will be cancelled. The monthly chart of the EUR/CHF currency pair indicates that the price is starting moving downwards with the target in the area of 0.9557. At the moment the price is testing the area of the 5th pivot point, which is expected to be a starting point of the fall. One can consider selling the pair at shorter time frames. If the price breaks the upper border and leaves the descending channel, this case scenario will be cancelled. At the H4 chart of the pair the price has broken the “triangle’s” lower border, we should expect the test of the broken line and consider selling the pair with the tight stop. The closest target of the fall is the area 1.1936. However, judging by the analysis of the weekly chart, we can recommend you to hold your positions open even when the price reaches the target level.